 Objectives This systematic review aimed to identify published observational methods assessing biomechanical exposures in occupational settings and evaluate them with reference to the needs of different users. Methods We searched scientific databases and the internet for material from 1965 to September 2008. Methods were included if they were primarily based on the systematic observation of work, the observation target was the human body, and the method was clearly described in the literature. A systematic evaluation procedure was developed to assess concurrent and predictive validity, repeatability, and aspects related to utility. At least two evaluators independently carried out this evaluation. Results We identified 30 eligible observational methods. Of these, 19 had been compared with some other method(s), varying from expert evaluation to data obtained from video recordings or through the use of technical instruments. Generally, the observations showed moderate to good agreement with the corresponding assessments made from video recordings; agreement was the best for large-scale body postures and work actions. Postures of wrist and hand as well as trunk rotation seemed to be more difficult to observe correctly. Intra- and inter-observer repeatability were reported for 7 and 17 methods, respectively, and were judged mostly to be good or moderate. Conclusions With training, observers can reach consistent results on clearly visible body postures and work activities. Many observational tools exist, but none evaluated in this study appeared to be generally superior. When selecting a method, users should define their needs and assess how results will influence decision-making.